This high quality Twinings wooden tea box features a very rich looking felt throughout the piece. Rounded edges and a burgundy stain make this tea box a special work of art. Inside walls are lined with beige felt wrapped on the cardboard. Its dimensions are 304x163x98mm. As with many of our products, we can print your logo both inside and outside the box if you so desire. 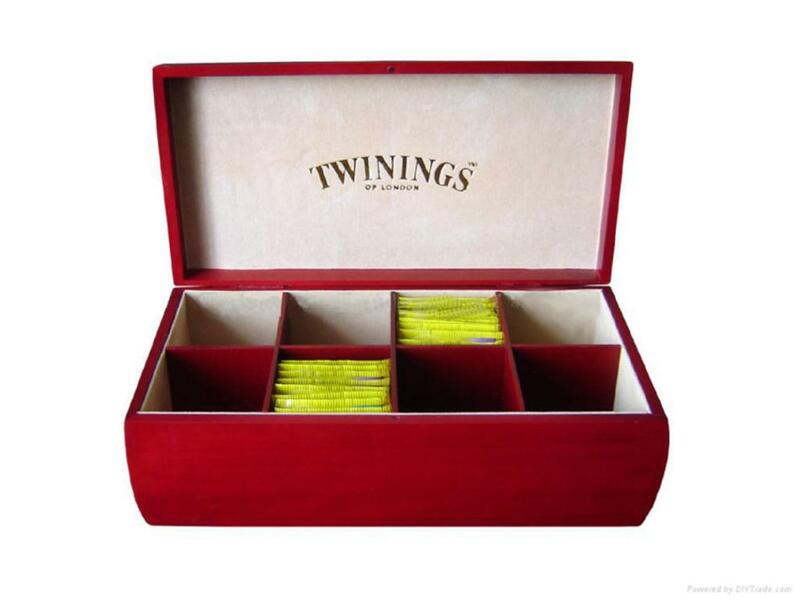 We have made 12, 9, 8, 6, 4 &2 compartments of this Twinings tea boxes as well as a single pocket. 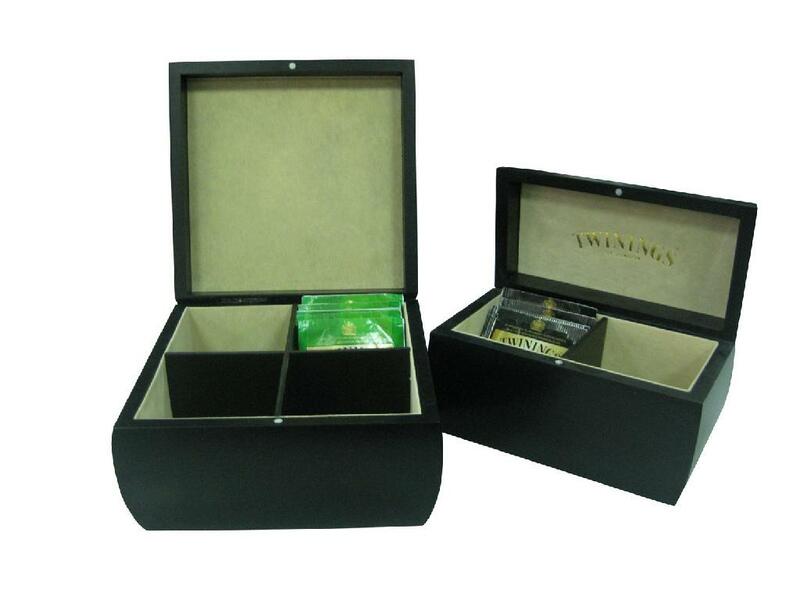 Extreme Enterprise is a first class manufacturer of high quality custom wooden tea packaging boxes and tea chests. We are committed to providing you with an excellent product that will exceed your expectations, excellent customer service and a guaranteed price that will beat all our competitors. Utilizing our skilled craftsmen, we pride ourselves in manufacturing the highest quality custom made boxes available in China.